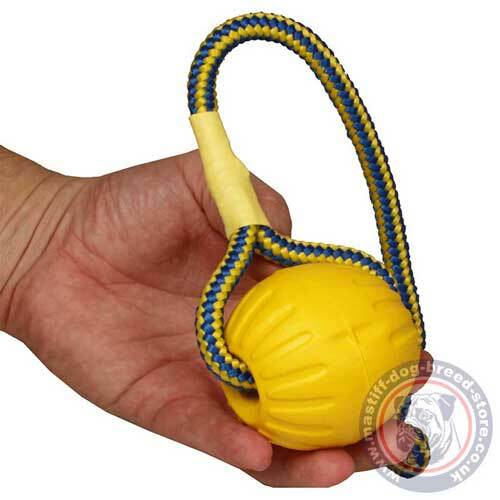 Buy Fetch Dog Toy for Mastiff with Rope of Medium Size, 3"
Home Mastiff Dog Toys and TugsFetch Dog Toy for Mastiff with Rope of Medium Size, 3"
Fetch Dog Toy for Mastiff with Rope of Medium Size, 3"
Get a durafoam ball on rope for fetching. Size: 3 in (7.5 cm). 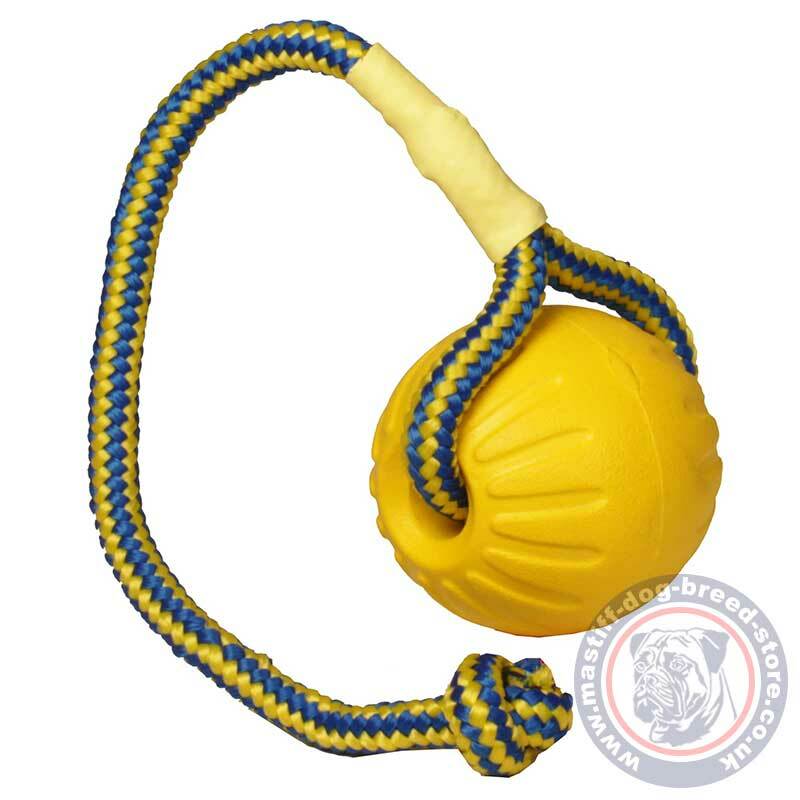 Fetch dog toy is a multifunctional dog toy, that will help you to entertain your pet in various ways. 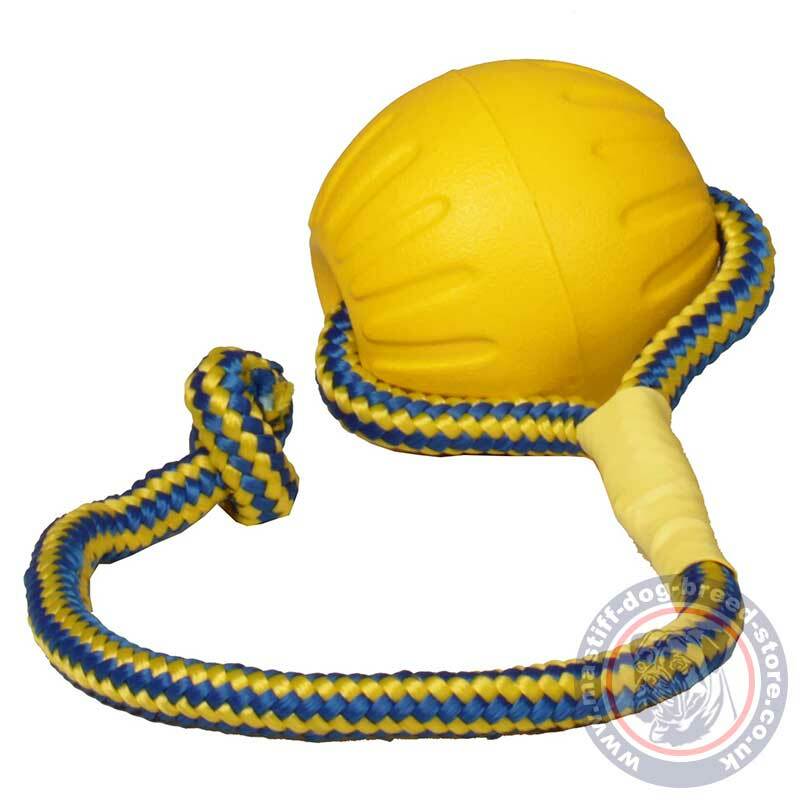 Durafoam, super strong and light dog ball with rope is perfect for towing, fetching, tossing, chewing, floating in water and training. Your dog will be grateful and happy to get this new fetch dog toy and will enjoy various playing with it on its own or together with you. various dog games, like fetching, towing, chewing etc.